If you remember that a couple of years, we’ve been waiting for the emergence of smart hours from Apple, probably in your head and then POPs the name “iWatch”. So we called not even released at that time, the product, and not just us. The Apple is still unable to forget this name. That is why they actively promote your site in a Google search for “iWatch”. As it turned out, not everybody likes it, especially the company that owns the European rights to this trademark. The company Probendi filed a lawsuit against Apple. 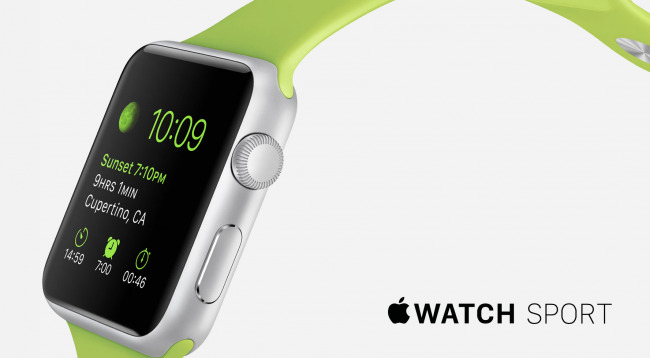 The complaint, which, according to Bloomberg, was registered on June 26 in Milan, based on the fact that Apple actively promotes its page on Watch Apple Watch by search query “iWatch”. In fact, if you type in the search box Google “iWatch”, the first link takes you to the Apple website. It is noteworthy that Probendi does not manufacture any iWatch, but loudly announces their rights to this trademark. This is not the first time that any company trying to succeed at the expense of Apple. Perhaps Cupertino could win from them trademark the brand “iWatch”, however, new products from Apple with the prefix “i” no longer appeared. Also the Swiss Swatch company also announced its readiness to meet the Apple watch from the litigation because their product iSwatch. I wonder what inspired them to such a name? Apple itself has registered the trademark “iWatch” in some countries, there is information that employees of the company for a long time called so watch, and Tim cook even once did it by accident. However, from the name of Apple Watch worse anyone did not, and the company managed to avoid unnecessary litigation, or almost succeeded.